Between the 28th December 2017 and 1st January 2018, thousands of young people will gather for the European Taizé-Meeting, which will take place in Basel (Switzerland). Living Stones will be also there! We are being officially invited to provide two workshops and to give visits/guided explanatations during any free time slots of the Taizé-meeting programme. It is a great honour to be able to offer our guided explanations in the two most important Protestant churches of Basel: Saint Peter and the Basler Münster. In the spirit of Tiazé, our participation will therefore be an important sign of ecumenism. To register contact Marco Schmid at marco.schmid@kathluzern.ch (mobile +41 (0)79 735 94 75) and not to the official registration of Taizé!! The deadline of registration is 1 December 2017. Meeting place: Train station Basel SBB at 12.00h at the main entrance hall of the station called “Treffpunkt” (a big blue sign with a white point and four arrows indicates this meeting point). In the afternoon we will have formation in the the two churches where we shall be provided our service: St. Peter and Basler Münster. 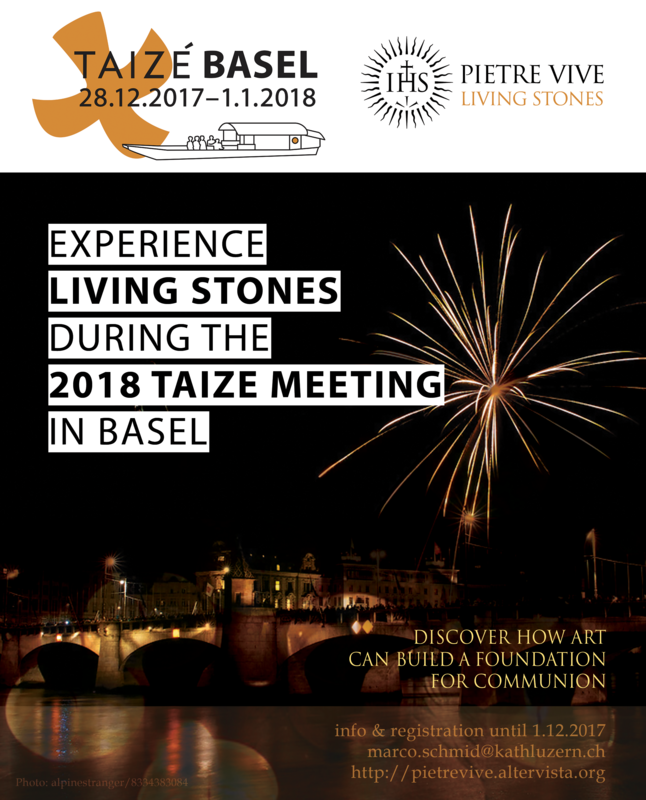 The participation-fee (food, accommodation, entrance-ticket; all organized by Taizé) will be covered by Living Stones Switzerland. Only the journey to Basel is up to you to pay. However, financial problems should not be a reason not to come!! Please do not hesitate to contact me! Best wishes from Switzerland, and see you soon in Basel!